This is the Xupo (https://www.amazon.co.uk/dp/B06ZYF9JJY?m=AHOB6CU4GK0BX), a pretty small object you can attach to your keys, wallet, purse, handbag or anything you can clip it to. The idea is you pair it with your phone (using bluetooth) and should you lose either one you can blip it and tell it to beep the lost item. And has a hole on it to clip round your keyring or object. 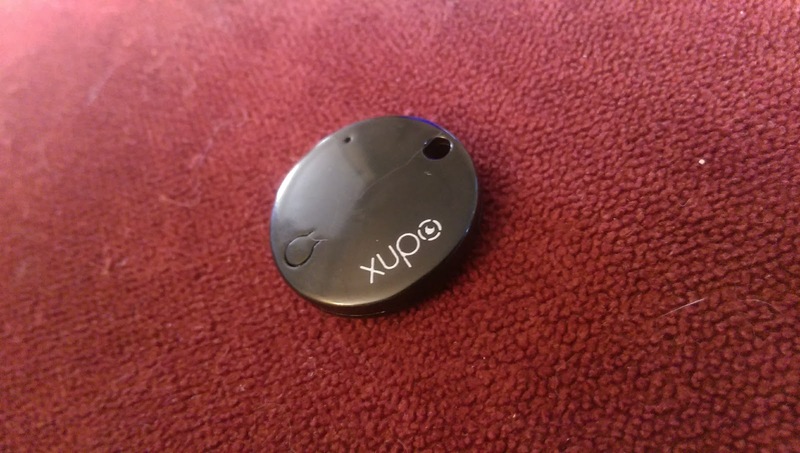 To set it up is fairly easy, download the app (The description on Amazon says iPhone but it has Android too) and then click to pair it, you hold down the button on the Xupo until the light starts flashing and it lets you pair it. Mine seemed to be in a bad mood after shipping, it wouldn't go into pairing mode, so I popped it open, removed the battery and re-inserted it which got it working. Worth remembering if you have difficulty! Once paired it seems to work OK. I say only OK as the Xupo app on my phone said it was a "Development edition" and not fully complete, and there were a couple of bugs (It didn't always find the Xupo, nor the Xupo always find my phone) so this meant I'm not giving it a 10/10. 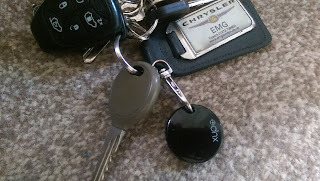 So not a bad little gadget if you're always losing your keys, phone, etc and does the job. 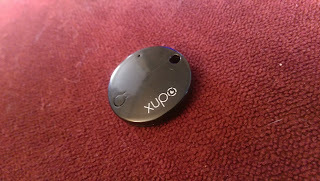 Can't comment on battery life, but the Xupo app does tell you the battery state of the little gadget. disclaimer: I received this item for review and to provide my unbiased opinion on the product.